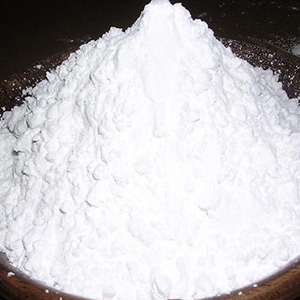 We are leading manufacturers of OENANTHOL BISULPHITE SODIUM SALT (ORGANIC FUNGICIDE) with technical grade. It has a broad spectrum of antifungal activity for a wide range of plants, vegetables and fruits. We cater to our domestic as well as overseas customers with high quality product. Oenanthol is derived from natural source from castor oil so it is called an organic fungicide. Store in original containers, tightly closed and properly labeled. Store in cool, dry place. Oenanthol Bisulphate is a Natural Fungicide. Although Oenanthol bisulphite is manufactured chemically, one of the main active raw materials used are obtained by natural sources. So The name given as natural fungicide. It has High quality, Effective, Safe, reliable and cost effective for farmers. The main Raw material called Oenanthol (oenanthic L. oleum oil) is obtained by the high vacuum distillation of castor oil (natural product). It exhibits strong fungicidal activity by inhibiting spore germination. FOR WHICH DISEASE IT IS USEFUL: Oenanthol Bisulphate control all virus and acts as preventive and curative for all types of germs and fungus. It cures a large number of disease like Tikka Disease, Rust, Blight, Downy Mildew, Powdery Mildew, Spot, Damping on, Rot, Anthracnose Pythium, etc. Salient features: Highly Water soluble, Low dose required, high self efficacy, no staining on sprayed leaf or surfaces and can be tank-mixed with half doses of Vigor is highly recommended. Action on LIVING ORGANISMS: Oenanthol Bisulphite is safe for mammals and plants, it is non mutagenic and Non carcinogenic. Seed Treatment: 50 gram of power to be mixed in 2-3 ltr of water for soaking 1 Kg seeds. Keep it for 2-3 hours drying and then sowing. Spraying: For spraying on different crops use 2 to 2.5 gram powder in one liter of water followed by one additional spray at an interval of 15 days. Dose: Dilute 2 to 2.5 gm of Oenanthol Bisulphate in 1 liter of water and use 200 to 250 liter of water per acre through foliar spray (400 to 450 g in 200-250 ltr water). Apply thrice with an interval of 3 to 4 days in case of severe attack.